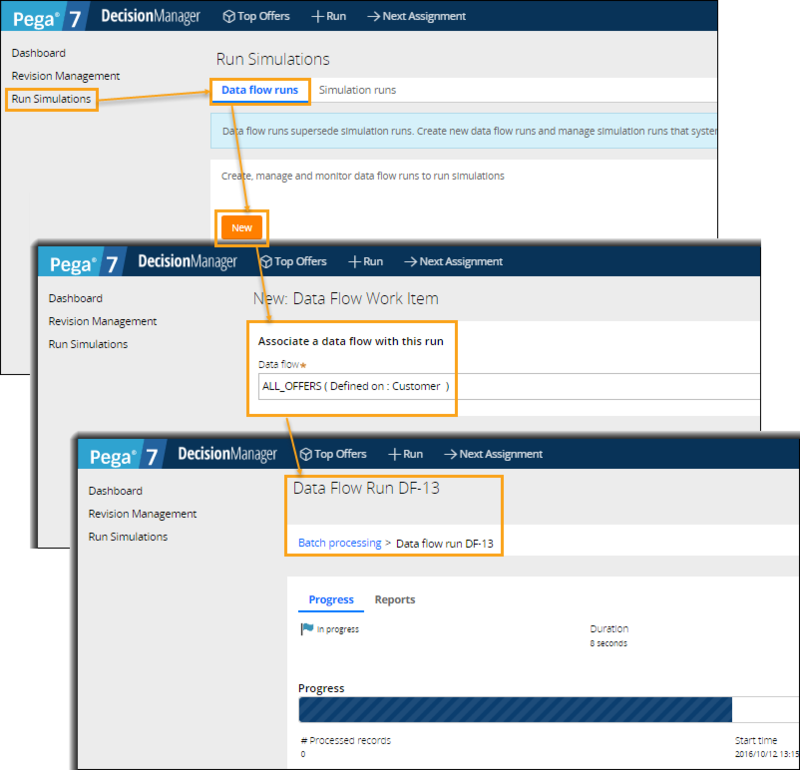 Multiple enhancements to the revision management process improve the functionality and usability of the Decision Manager portal. 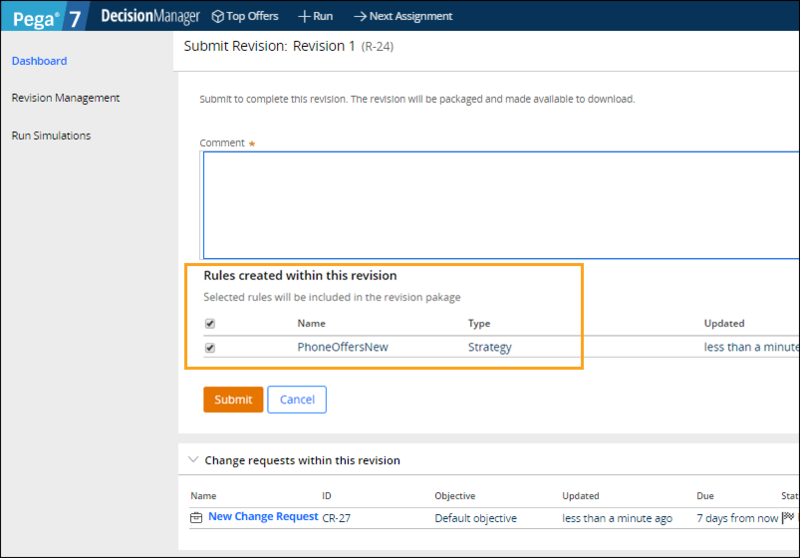 A revision manager who prepares a change request and a strategy designer who works on the assigned change request can now create rule instances as a part of a regular change request work. Data Set rules and Property rules cannot be included in an application overlay. 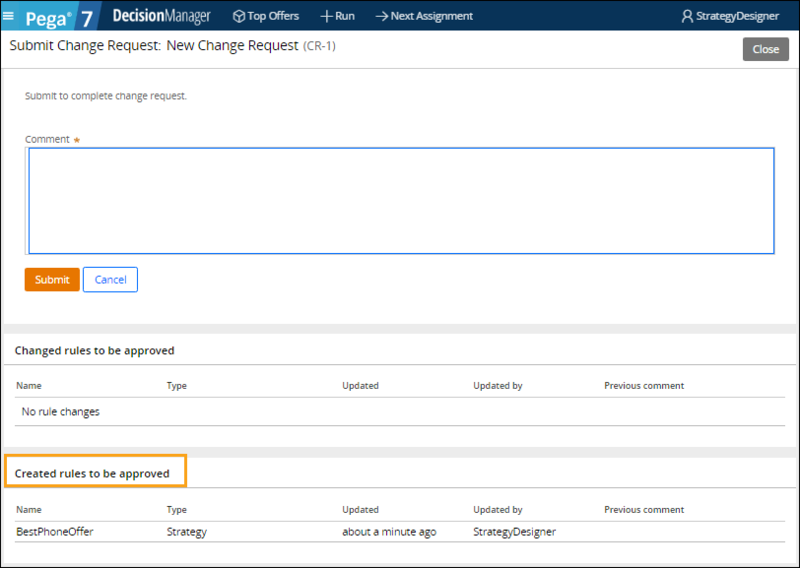 They can become a part of a change request when you create them from a rule that is being edited as a part of the change request in the Decision Manager portal. When you submit the change request, you can see the data set, but you cannot see the newly created strategy property. When a strategy designer submits the change request for an approval, the new rule instances that were created in the change request are listed separately. A revision manager who logs in to the Decision Manager portal can easily distinguish between the rule instances that were created and the ones that were only modified, and focus on the newly created rules. 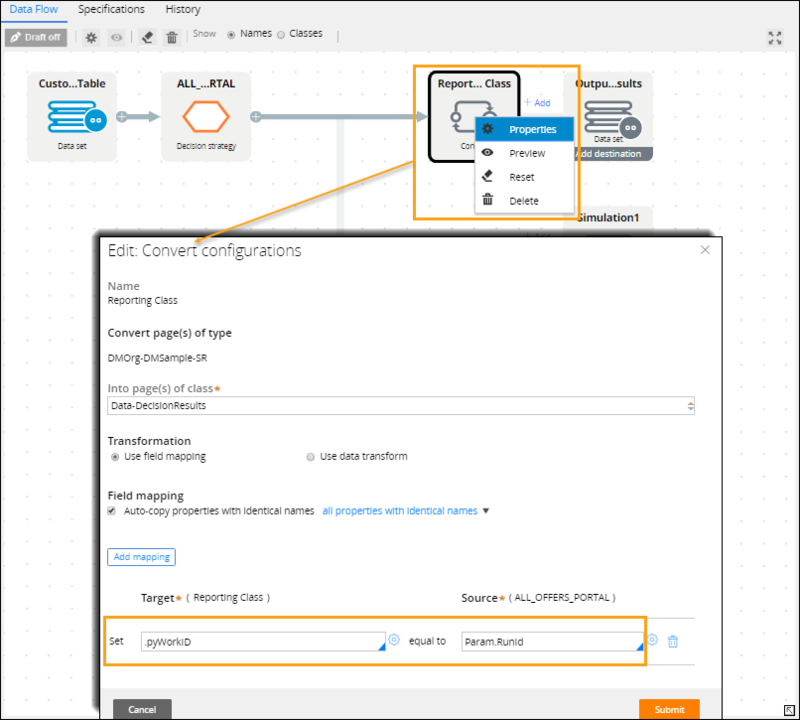 When the change request is completed, the rule instances that a strategy designer created become part of the application overlay and can be delegated on subsequent revisions. If a revision manager rejects a change request, the rule instances that were created in the change request are automatically deleted. A change request that contains new rule instances follows a normal life cycle of a revision case. For more information, see Stage-based revision and change request management. You can also create rule instances from other rule instances, outside the change request context. For example, a strategy designer or a revision manager can create a strategy from a data flow, and from a strategy, create rules such as predictive models, scorecards, and propositions. If these additional rules are created by using the advanced options in the rule forms, they are listed when a revision manager submits a revision. 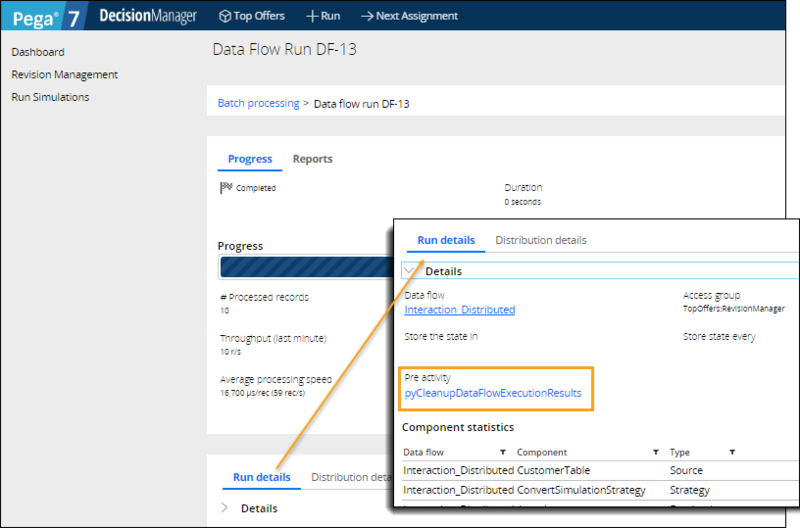 A strategy designer can run data flows in the Decision Manager portal to simulate changes that were introduced by the change request. These changes become visible for the revision manager when the strategy designer submits the change request. A revision manager can do the same simulations to check the changes that were introduced by the strategy designer. 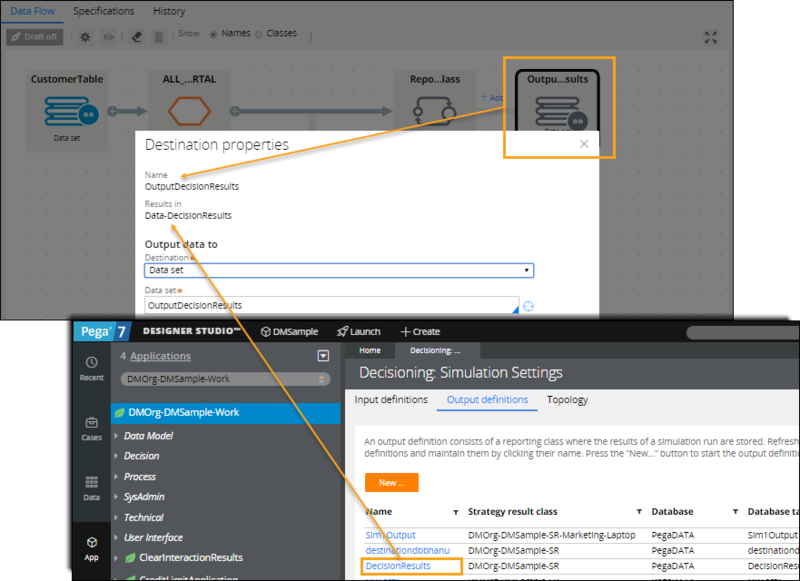 When a data flow is designed to write results into the Visual Business Director data set, a strategy designer can use the Visual Business Director Planner to compare data sources for particular simulations. This data set is truncated because of the pyCleanupDataFlowExecutionResults preactivity that is set automatically when a strategy designer runs a data flow. 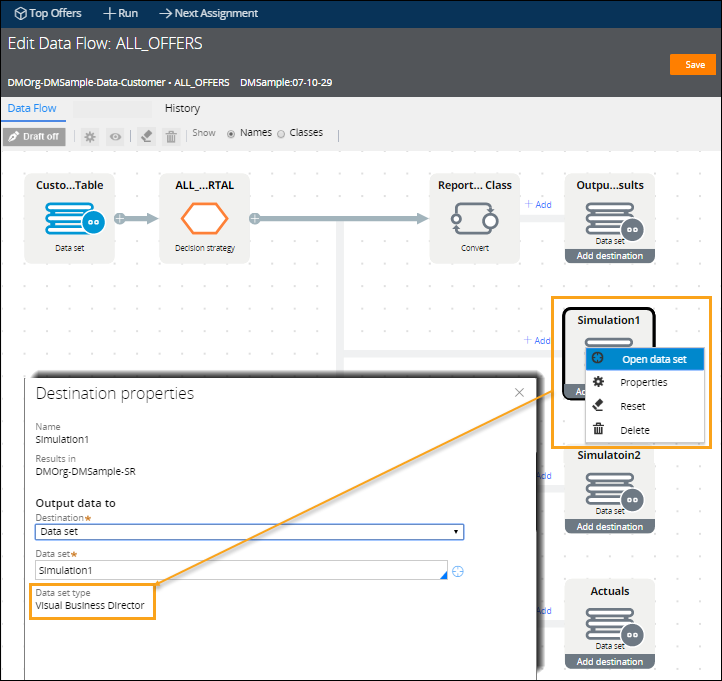 The Results in class of the Database Table data set that is a destination in the data flow was created with the Output Definition wizard. For more information, see Creating an output definition.